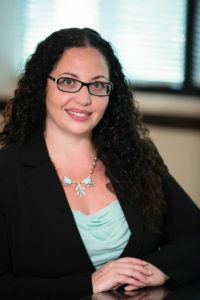 How to Know if You Qualify for Workers Compensation – Diana I. Castrillon, P.A. Injuries happen all the time in the workplace. Many people don’t think another thing of it, but they may be qualified to receive workers compensation. Any injury associated with labor, work, or other work affiliated accidents can be workers comp claims that are valid. Machinery injuries, slipping on ice, facility malfunctions, etc. are examples of certified claims. Whether it was accidental, the fault of someone else, your own fault, or neglect; these all could be covered by claims to workers comp. Businesses are required to carry insurance for their workers in case of accident of liability issues. If there is an injury at work, chances are workers comp will cover it. Though there are many possible injuries that could be covered, claimants must meet certain criteria. It is always worth checking into. By law, businesses must supply manual or other information that explains the rights and benefits or workers. This information should also delineate who meets the criteria. The best route may be to talk to the Human Resource department. They have all the information and can help clarify it if there are questions about eligibility. Possible claimants should keep careful records of their injuries, interactions with HR and other departments in the business that deal with legal and insurance issues. Doctor visits, x-rays, and a journal of symptoms may also be helpful to have on hand. An attorney may be consulted to help decipher if workers comp benefits are appropriate. Attorneys can be great advocates in an otherwise twisted legal entanglement. Their expertise and experience can make the difference between winning benefits and paying out pocket for expenses associated with workplace injury. Lost wages may also be a part of workers comp benefits besides payment of medical bills. It is in the best interest of businesses to stay on top of workers comp to avoid law suits from injured workers. Workers comp is required by law in all fifty states in the US. It is a serious issue. Florida especially takes worker’s benefits seriously. They tenaciously work to protect workers, businesses, insurers, and health providers. The Florida Division of Workers’ Compensation provides information and help to all parties involved in resolving workplace injuries. It is a place that gives resources and information out freely. It becomes an easy way for all to understand worker comp. Injured employees can look at their guide for understanding if they qualify for benefits. The Injury Law Clinic is your South Florida personal injury lawyer. If you have been hurt in an accident, contact us today!